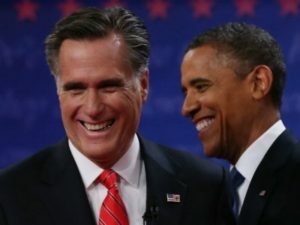 WASHINGTON — A Washington Post-ABC News poll found that respondents would have voted for Mitt Romney over Barack Obama, if the 2012 election was held today. The poll found that enough Democrats would have abandoned Obama over his health care lies, where he said “if you like your plan, you can keep it. Period.” Romney would have won, in this hypothetical situation, 49-45%. Obviously, there were caveats to this poll considering that hindsight is 20/20. But, it still illustrated the point of how unpopular ObamaCare is and how Obama’s approval ratings are falling through the floor because of it. It did not help that a recent Quinnipiac poll found 52% of Americans felt Obama is untrustworthy and dishonest, 54% disapprove of his job performance with only a 39% job approval rating. Some of the interesting points of the poll were that the margin of women voters for Obama narrowed to 1%, the support among the young voters fell from 18-2%. Hypothetical situations cannot undo the problems of ObamaCare, but it put into perspective of how terrible this administration is at their centerpiece legislation, ObamaCare.